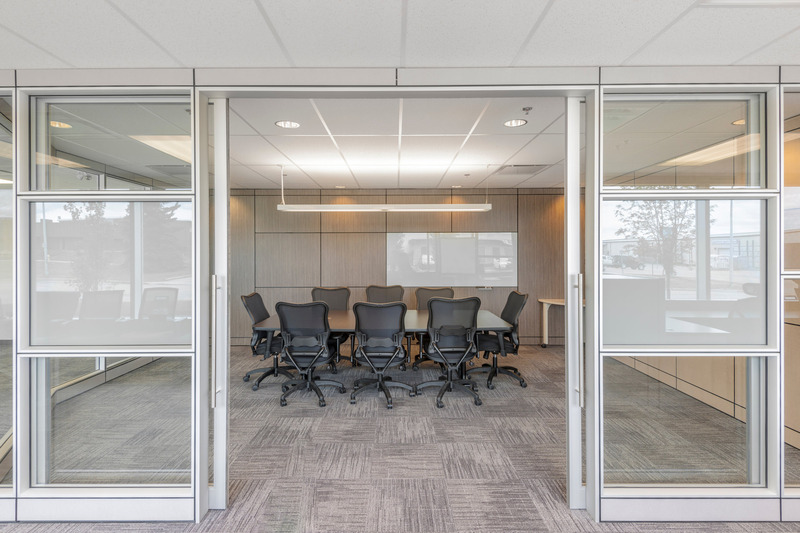 The Aluminum Framing & Sliding Doors are aesthetically pleasing with the ability to adapt to any finished opening, drywall or moveable. Aluminum frames come in 5 different widths, ready to be installed with hinges and strike plates. 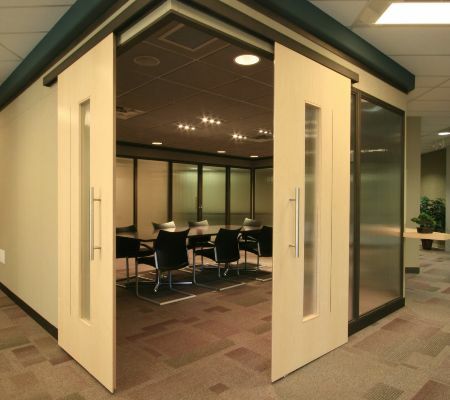 Sliding doors make the best use of available space by opening up cramped areas, giving them a more productive and professional feel. An endless number of door and sidelight combinations give the versatility to create unique office environments. 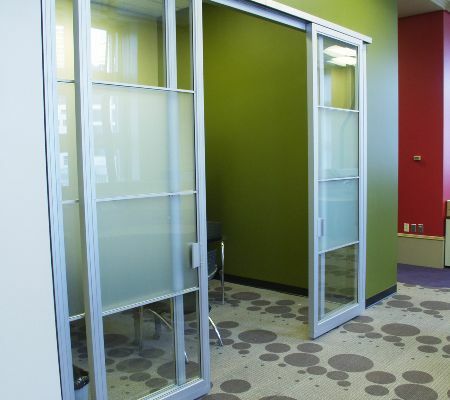 Aluminum frames are available in six different wall thicknesses with standard and custom finishes. 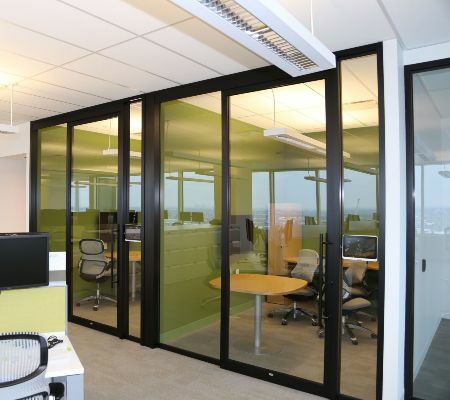 A perfect solution for various wall constructions from steel stud, wood to Moveable partitions. Numerous glazing options are available to achieve the desired STC ratings and provide a good source of light to less exposed areas. A Wide range of Glazing options can be utilized from Self-supporting to mullion-less glass which gives windows a sleek and concealed appearance. Stocking programs allow for quick and easy installations. The aesthetic beauty and durability make aluminum frames a widely used product by interior designers and architectural engineers. Sliding Door Systems c/w with Thin Line glazing. Aluminum’s high life-cycle value and recyclability make it the product of choice. The biggest advantages to Aluminum framed walls is no on-site finishing, improving indoor air quality. 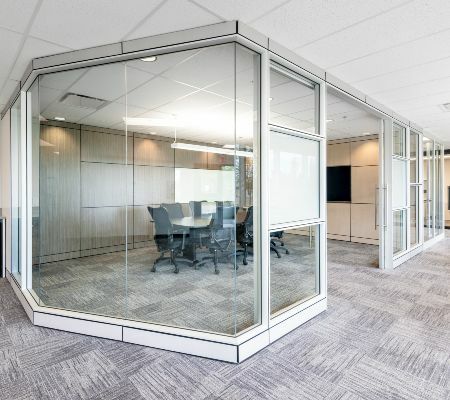 The decrease in construction and reconfiguration waste and eliminating drywall application - no dust and paint fumes results in improved air quality [IAQ]. The Aluminum Frame walls contribute to LEED credits, through recycle content, and regional materials. 100% of the wall system components can be re-used during renovations, reducing both costs and environmental impact. Give us a Call. We'll help find what you're looking for.